Barton Museum is a popular travel spot in Gujarat. The museum comprises of exhibits around 16,700 that belong to various categories of around 25. The museum is mainly for displaying objects like mural paintings, antique coins, fossils, manuscripts, embroidery works etc. Tourists will get the first hand impression of the artistic creativity of the state during the ancient period. This museum is a wonderful place to visit in India for obtaining full knowledge about ancient architecture and sculpture making skills. 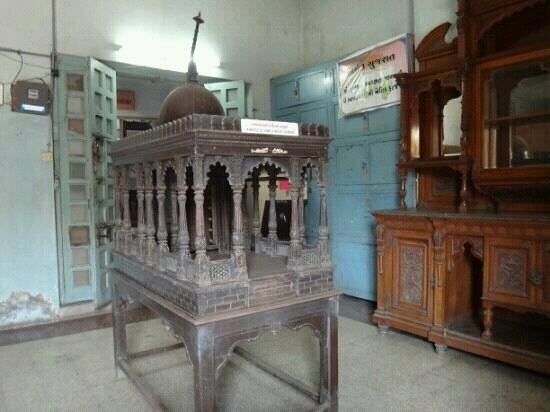 Apart from visiting this historical museum, tourists have the scope to view other places of interests in Bhavnagar. The most prominent among them is Barton Library which is one of the oldest libraries of the erstwhile Saurashtra. This library contains surplus study materials in different languages with a large reading room. When you buy Saurashtra And Kutch Tour Package Of Gujarat then our tour guide will give you full information to you. Then another interesting spot is Takhteshwar temple which came into existence in 19th century A.D. For relaxation Victoria Park is the ideal destination for the tourists. It is a perfect place for group picnics and watching animals like jackal, hyanea and many more. There is Nilambagh Palace which was built in the year of 1895 with acres of gardens and lawns. This museum came into existence in the year of 1895 for housing the personal collections of Col Barton. He was at that time the British representative of Saurashtra. This museum also enriched its collections from various donors like that of Oza family of the region. The museum came into the limelight for exhibiting outstanding objects like farming implements, wood carvings, weapons, guns and coins. The museum is also known for the establishment of Gandhi Smriti in its 1st floor of the building. This section was mainly established to commemorate the works and contributions of Gandhiji. This section has been opened for public view in the year of 1955 and it also comprises a library, Khadi Gramodyog Bhandar, picture gallery dedicated Gandhiji etc. The admission fee for overseas tourists is Rs 50 per person and that of Indian visitors is only Rs 5 per person. This historical museum is situated in Pragati Nagar at Gandhi Smriti Crescent Road of Bhavnagar. From the nearest road of Sardar Patel international Airport the journey is only about 176 km via GJ SH 6.